The Johns Hopkins University Center for AIDS Research (CFAR) is committed to developing the next generation of diverse HIV/AIDS investigators to conduct basic science, behavioral and implementation research. 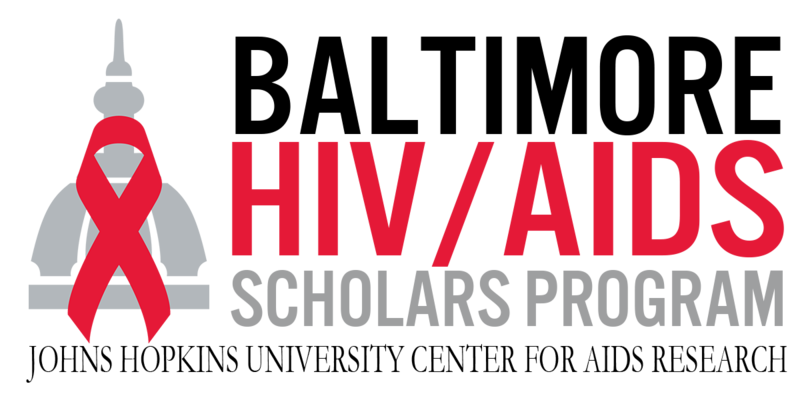 The Baltimore HIV/AIDS Scholars Program was established in 2012 to promote the development of promising undergraduate students into HIV/AIDS investigators. Students conduct research under the direct mentorship of established Johns Hopkins researchers with the purpose of advancing science in the fields of HIV prevention and treatment that are specifically of relevance to the HIV epidemic in Baltimore City. Mentors are drawn from the schools of Medicine, Nursing and Bloomberg School of Public Health. The ten week program runs from the end of May through the first week of August. During this time, interns work with faculty on research projects in their field of interest. In addition, interns will attend HIV/AIDS oriented seminars and professional development sessions. Applicants will include current sophomores, juniors and seniors who will be selected by a committee comprised of faculty and community representatives from the CFAR. Students from underrepresented ethnic minority groups and those from economically disadvantaged backgrounds who are interested in careers in science, public health or medicine are strongly encouraged to apply. The program is open to all majors. Interns are paid hourly, $16.00 per hour and work between 30-40 hours per week. Stipends are subject to tax. All interns gain experience performing research methods, writing a scientific abstract, giving oral presentations and developing a scientific poster presentation. In addition, students will present their poster presentations at an annual Bridging the Gap conference sponsored by the CFAR. All interns must also submit a personal reflection and 2 high resolution photos at the conclusion of the internship.